Until this year, two thirds of the materials collected from curbside recycling carts were exported to foreign markets. Recent changes in China’s acceptance of mixed plastics and mixed paper mean fewer places to recycle these materials. This is a problem affecting communities across the U.S., Europe, and Australia. 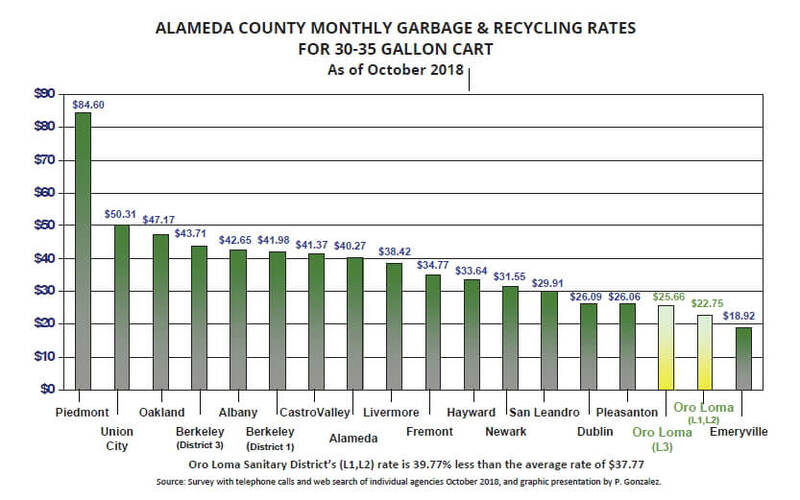 While haulers explore long-term solutions for recycling, residents and businesses should continue to recycle and focus on reducing waste. Only place allowable materials in your recycling cart. Items should be empty, clean, dry, and free of food and liquids. Reduce and reuse come before recycling. The less waste we generate in the first place, the less waste we need to send to the landfill. If your trash, recycling, or green waste collection dates fall on Thanksgiving, Christmas, or New Year’s Day, your pickup will occur on the next calendar day.